The very dry summer of 2018 followed by winter conditions that have kept liver fluke levels low mean there have been very few reports of losses from acute fluke disease, and incidents of disease due to chronic fluke infections are also much lower than in previous years. If animals are infected with liver fluke at this time of year, the majority will be egg-laying adults. Therefore, a straight forward composite faecal egg count (FEC) with samples taken from 10 animals within a management group* will indicate if a fluke treatment is needed. A product that is specific for the treatment of liver fluke and only removes adults (such as oxyclozanide or albendazole) is normally recommended at this time of year. This will reduce infection on pastures and also reduces pressure on the other flukicides that are needed when immature liver fluke are an issue. This press release is issued by National Sheep Association (NSA) on behalf of SCOPS. For more information contact Joanne Briggs at NSA on 07973 726048 or [email protected]. SCOPS is an industry led group that works in the interest of the UK sheep industry. It recognises that, left unchecked, anthelmintic resistance is one of the biggest challenges to the future health and profitability of the sector. Find out more at www.scops.org.uk. COWS is a voluntary initiative aiming to provide the best available, evidence-based information to the beef and dairy cattle industries in relation to the sustainable control of both internal and external parasites. Find out more at www.cattleparasites.org.uk. 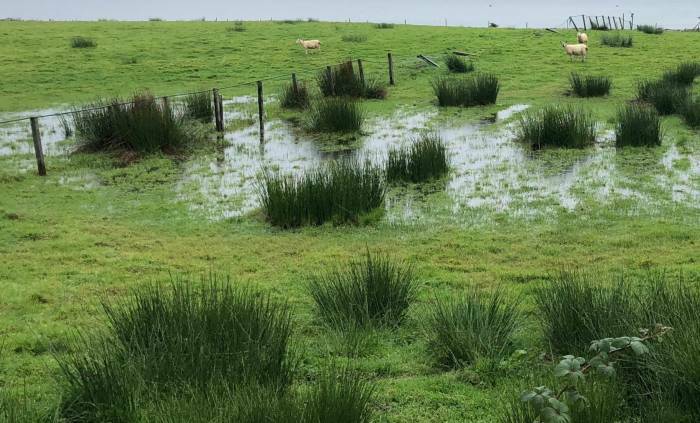 During the long, dry summer, mud snails will have concentrated in boggy areas - so grazing livestock may still have picked up liver fluke and need treating now. Picture credit: Moredun.